Da Jin presses the doorbell of the house of Yoon Sung, unexpectedly it’s Ji Won who dressed in man’s shirt that opens the door. 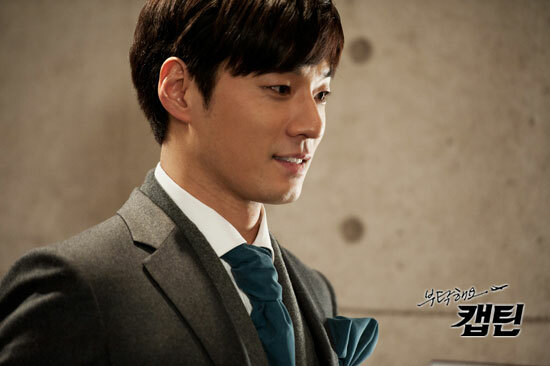 Ji Won receives Da Jin with the identity of woman of the house, Da Jin is irritated, running out of Yoon Sung’s house. Flight is delayed because of weather condition. A female passenger suddenly out of control, she asks to alight from the plane ahead of schedule. Turn out she wants to rush to the hospital to see her husband one last time. Yoon Sung and Da Jin eventually decides to land ahead of schedule, and fortunately, nothing goes wrong. In order to date alone with Mal Ja, father of Dong Soo passes Da Yeon to Yoon Sung for caring. When Mal Ja comes to bring Da Yeon, she saw Ji Won. She angrily chases after Ji Won, Yoon Sung hastily pulls her.